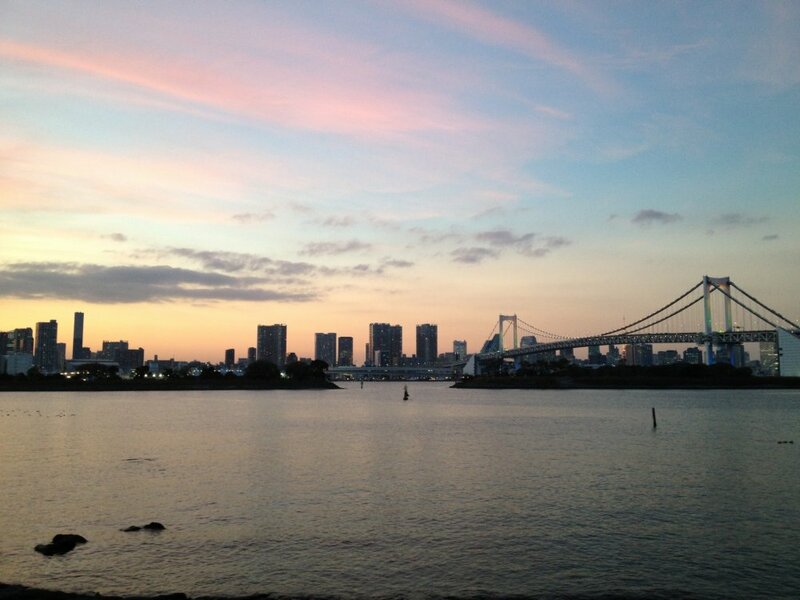 Beautiful dusk at Rainbow Bridge. 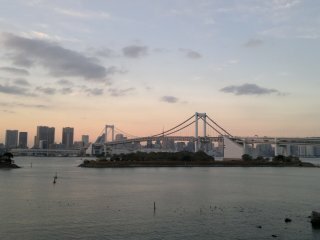 The white color of the bridge starts to shine against the skyline. 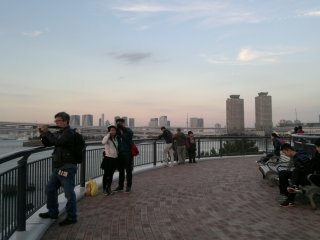 People can go down near the water to see a wider view of the bridge. It’s about time to get pretty! The best scene of cotton candy sky is of course on the west side, just behind the office buildings. Remarkable blend of orange, pink, and purple, all at once. 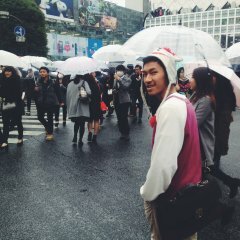 Best sunset view I’ve ever seen in Tokyo. Looking back to the bridge, and the famous rainbow lights are already lit. No matter how many times I took photos of the sunset, I would always turn my head over and over again to the building side for this magnificent color. Twilight sky fades, and the rainbow lights are almost fully lit. 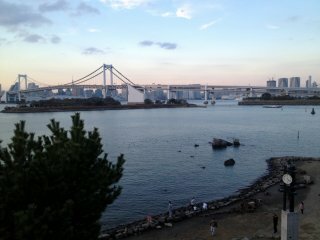 Wait until it’s completely dark, so you will see the Rainbow Bridge in all its phases: by day, by sunset, and by night. 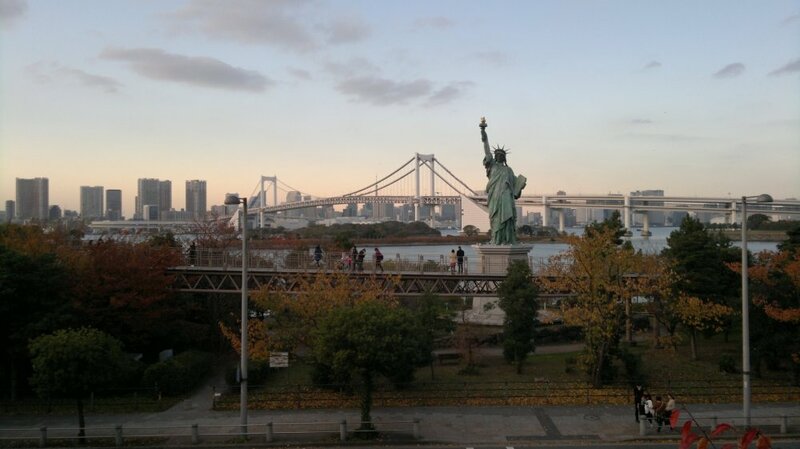 The spectacular Rainbow Bridge, linking mainland Tokyo to the island of Odaiba, was built in white to match the Tokyo skyline as its background. 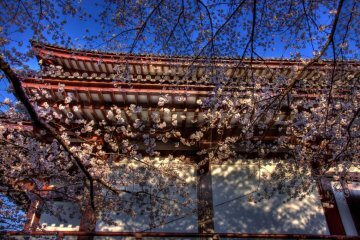 The structure and nature sit side by side in harmony until the sun goes down, when the suspension bridge seem to be outshone by the color of twilight sky. 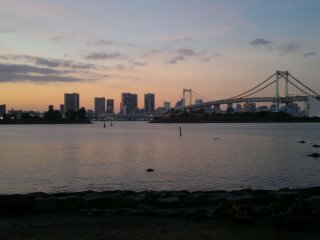 Watching the sunset in Odaiba was one of the most amazing things I did during my stay in Japan. 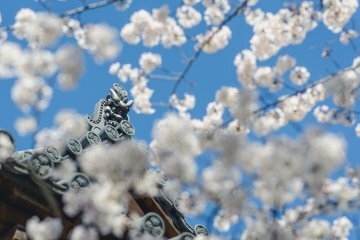 The open-air square gave a boundless view of Tokyo’s waterfront and the vibrant metropolis across the bay, but the best part was when blue sky started to fade, and sweet treats of cotton candy color filled the sky. Beautiful colors. 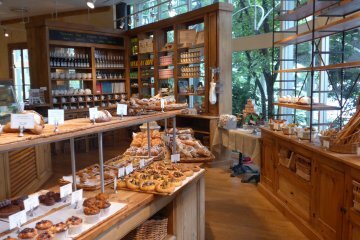 I also love this place. 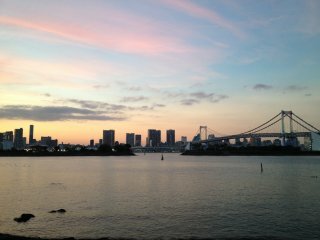 I've watched sunset twice in Odaiba. Always amazing. 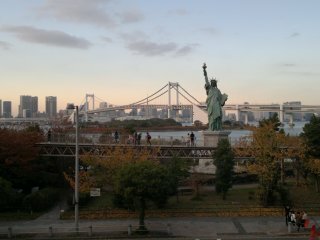 I saw many pictures of Odaiba, make me want to visit as soon as possible. It remained awesome even when it was completely dark.